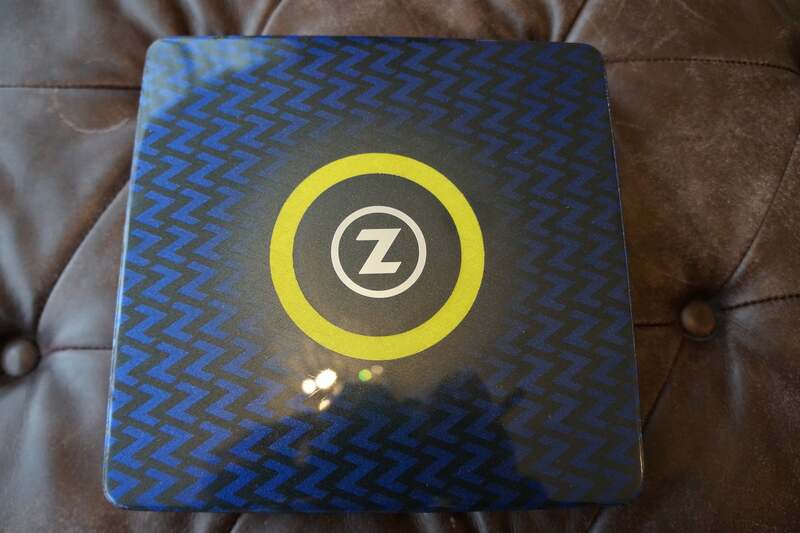 Zotac was in the mini-PC game before mini-PCs were even a game. 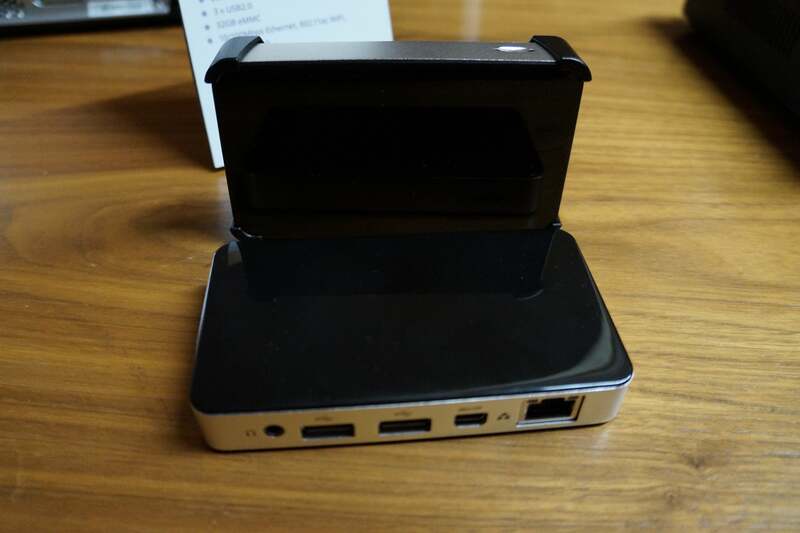 Oh, your company’s rolling out a full-fledged PC in an itty-bitty box? That’s cute. While mini-PCs are all the rage these days, Zotac’s been a pioneer in the space for years, and the company drove that point home at CES 2016, stocking its suite with more than a dozen diminutive PCs of all prices and capabilities. Rather than try to single out one or two, we figured we’d show you, well, all of them—starting with the custom finished Zbox above, which was touched up by the folks at BS Mods. Let’s dig in, starting with the smallest of them all. 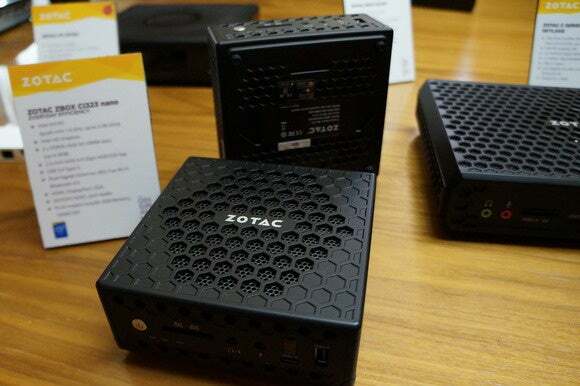 Zotac’s always done mini-PCs, but now it’s getting into the suddenly popular “PC on a stick” form factor too. 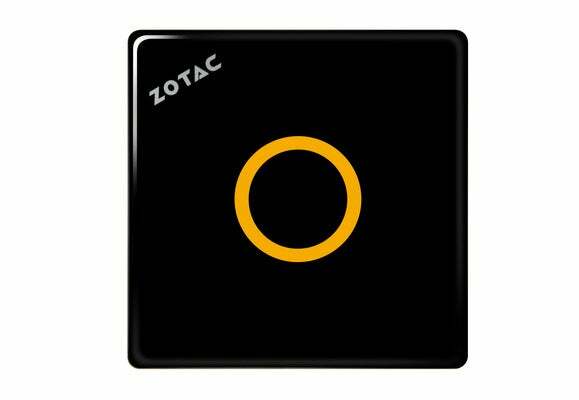 The aptly named Zotac PC Stick rocks a quad-core Intel Atom x5-Z8300, 2GB of DDR3L-RS memory, 32GB of eMMC memory, 10/100Mbps ethernet, 802.11ac Wi-Fi, and Bluetooth 4.0. 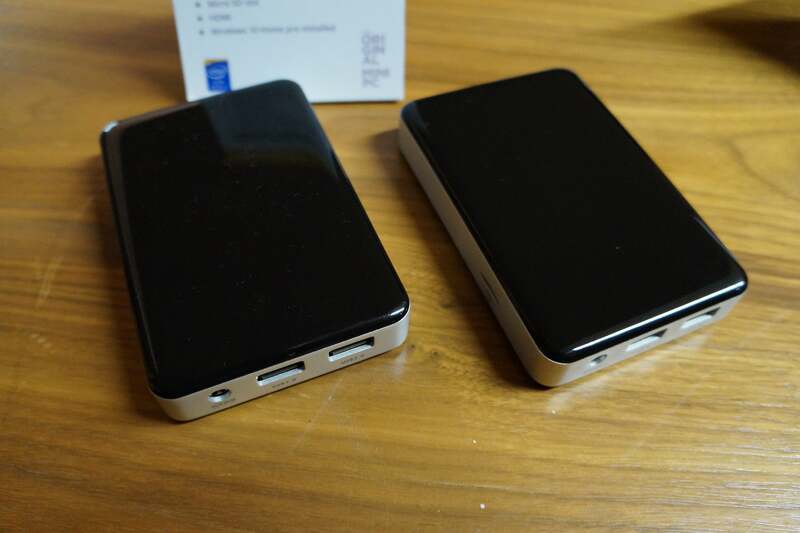 Port-wise there’s an HDMI output, a Micro SD slot, and USB for power. ...while its slightly larger brother rocks a Cherry Trail x7 chip and can drive dual displays as a result. The Zotac CI323 nano lacks a fan (and an operating system, as the majority of Zotac’s PCs are “bare bones” models with no OS, storage, or RAM installed) for quiet operation. 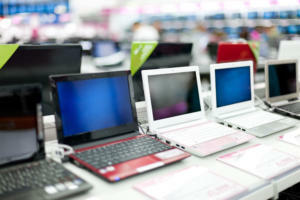 It has a quad-core Intel Celeron N3150 processor, a pair of open DDR3L-1600 slots, and an open slot for a 2.5-inch drive. You’ll find 802.11ac Wi-Fi, Bluetooth 4.0, dual LAN ports, USB 3.0 Type-C, HDMI, DisplayPort, and VGA connectivity equipped. 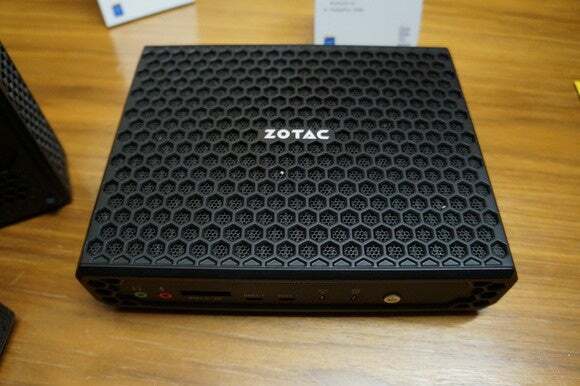 Zotac’s Zbox Z-series PCs, on the other hand, packs a more powerful Intel Core 6300U Skylake processor with HD Graphics 520 and a Type-C port packing speedier USB 3.1 technology. 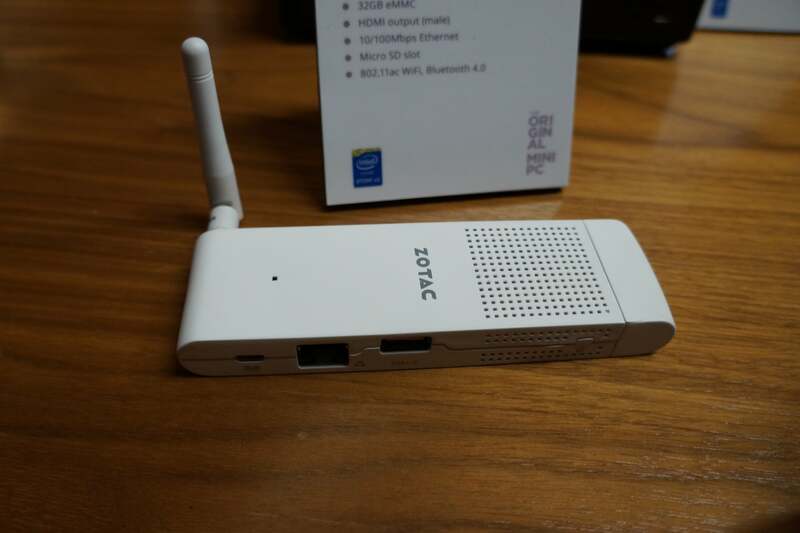 Think of it as the Zbox CI323’s bigger brother. 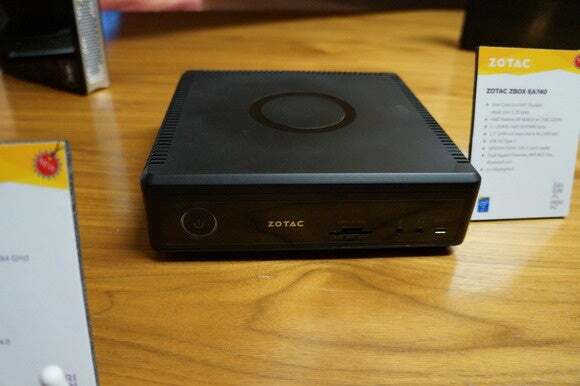 The Zotac Zbox MI551 sports a slightly different Skylake Core i3-6400T processor with Intel HD 520 graphics, dual DisplayPorts, and an HDMI connection. Zotac’s selling this puppy as a mini-PC capable of playing 4K video. There’s even a big 4K logo on the top of the box. Now we’re getting into the more powerful stuff. The Zotac Zbox EI751 rocks Intel’s quad-core Core i7-5775R “Broadwell H” processor and its integrated yet powerful Iris Pro Graphics 6200 visuals, which work just fine for entry level gaming at low resolutions. 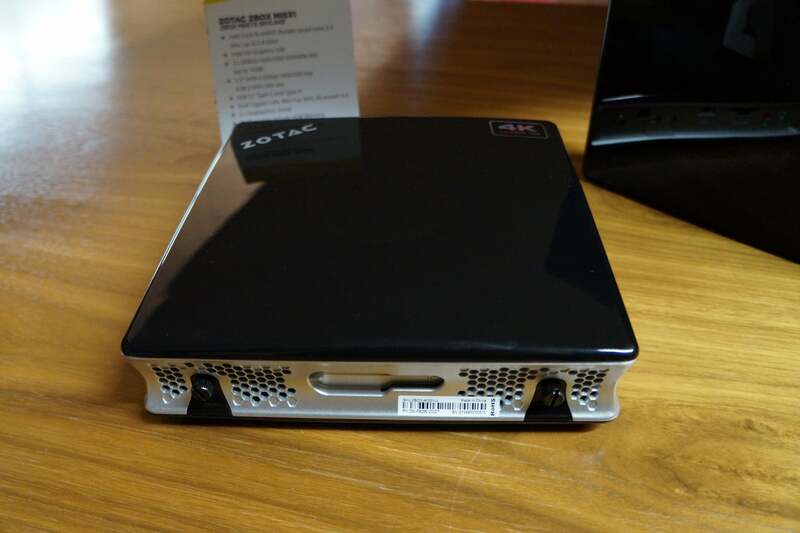 This puppy can output to a pair of DisplayPorts and single link DVI-D, and Zotac also offers it in a “Plus” variant that tosses in 8GB of memory and a 128GB mSATA SSD. 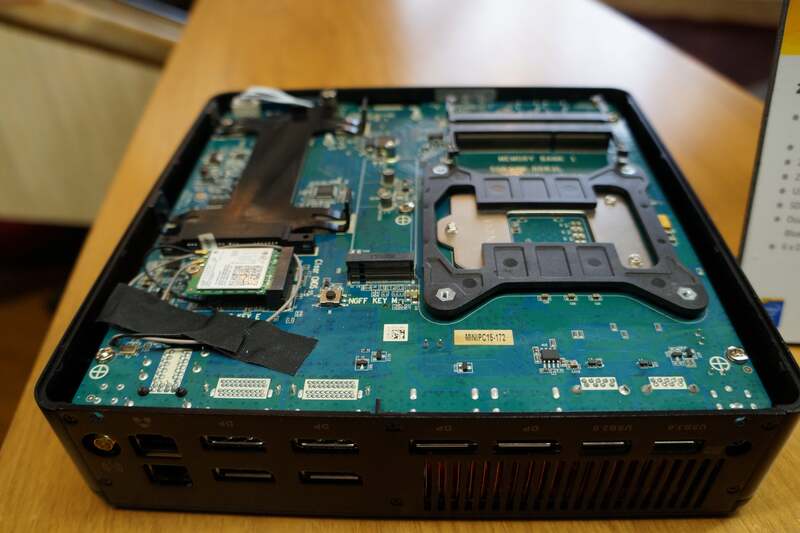 Compared to the Zbox EI751, the Magnus EN970 drops the processor down to a dual-core Core i5-5200U, but more than compensates for it on the graphics front by slotting Nvidia’s GTX 960 (a fine 1080p graphics card) into the machine. It features four HDMI 2.0 ports, and since the GTX 960 is one of the rare few cards that supports HDCP 2.2 copy protection, the Magnus EN970 could be a slick choice for a 4K home theater PC. 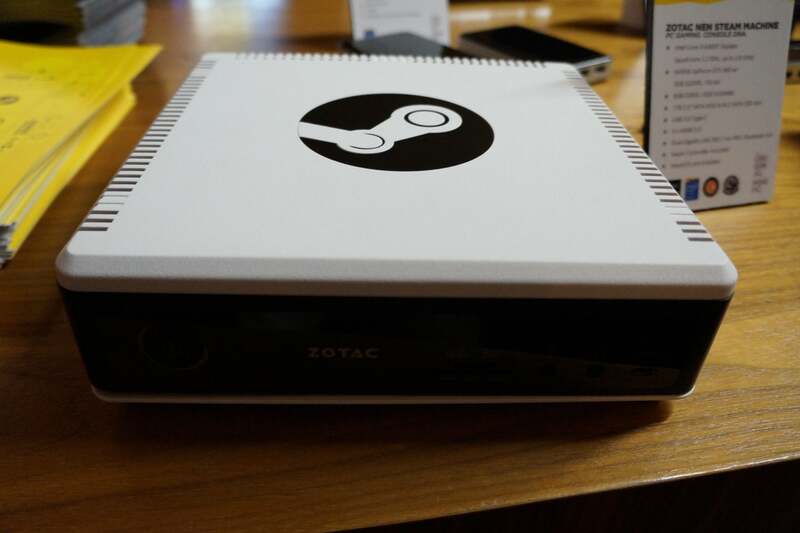 Zotac’s Steam Machine bundles a quad-core Intel Core i5-6400T processor with Nvidia’s GTX 960, then fills the system out with 8GB of RAM, a 1TB hard drive, four HDMI 2.0 ports, Type-C USB 3.0 ports, and even a Steam Controller. 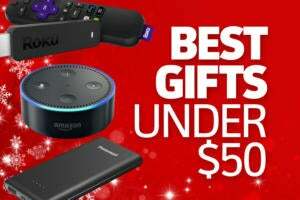 That makes it a solid option for a small gaming PC that slips into your entertainment center, or again, a great HTPC. The Zbox EA740 is another mini-PC built for entry-level gaming, or more realistically, for running multiple displays from a single small box. It packs a Core i3-6100T Skylake chip with AMD Radeon R9 M365X graphics as well as a trio of DisplayPorts. Three displays? Pfah! 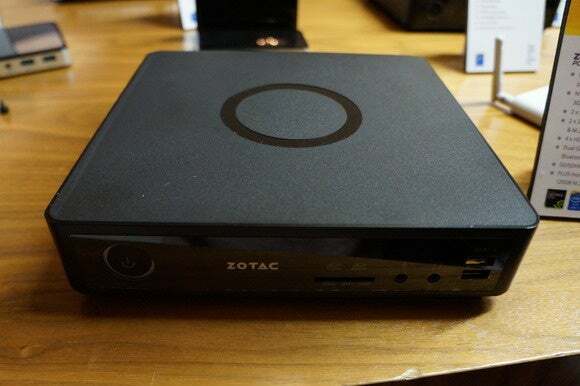 Zotac showed me this prototype Zbox, which rocks more capable (yet undisclosed) internals to power a whopping SIX DisplayPorts. 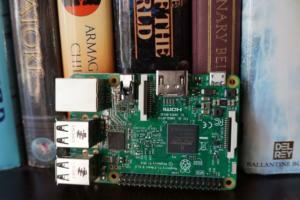 Yes, this tiny box can power a massive workspace capable of putting NASA to shame. 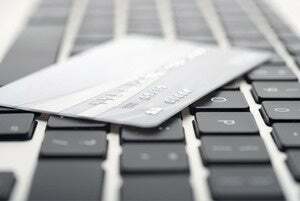 Ain't technology grand?